Harry Podolsky, an Arava Institute summer intern under the supervision of Dr. Tareq Abu Hamed, spent over a month gaining practical experience and learning about innovative renewable energy systems. Harry is currently completing a B.S. at the Cornell University College of Agriculture and Life Sciences, with a focus in renewable energy and resource management. As an intern at the Arava Institute, Harry worked on two projects. One project involves using passive air cooling to boost the efficiency of photovoltaic solar panels. Another project deals with dust collecting on the panels, which can significantly decrease electrical efficiency. As part of this project Harry finished construction of an environmental chamber which will test an experimental device called an electro-dynamic screen, which uses static electricity to clear off dust particles. Testing of the system will begin in the coming weeks. On July 16th, Mark Horenstein, an Electrical Engineering professor at Boston University, visited the Arava Institute. For the past year, Professor Horenstein has been working with Tareq Abu Hamed on a joint project with the Arava Institute, Boston University and Tel Aviv University examining the use of Electro Dynamic Screens (EDS) to clean dust off photovoltaic solar panels. We were delighted to host Professor Horenstein, as well as Mark’s brother Stephen Horenstein, who teaches Music Theory at the Jerusalem Academy of Music and Dance, and share with them many of the renewable energy projects in the area. 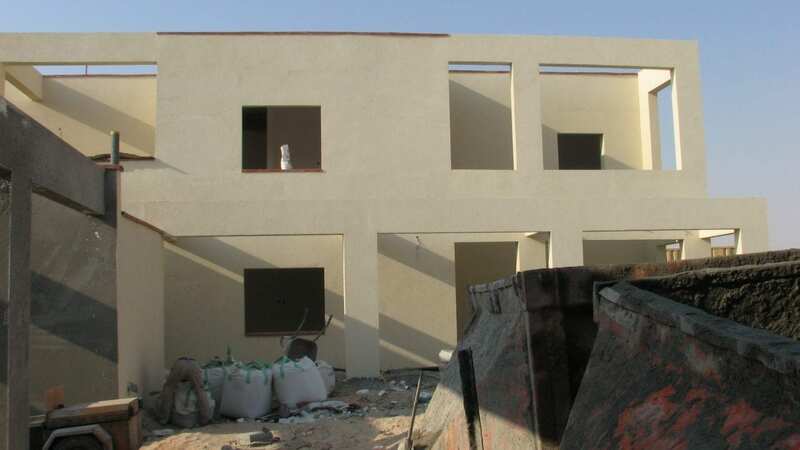 The new JNF dormitories are still under way, and it is estimated that the project will be completed around October. We are looking forward to housing our fall semester students in the new dorms. 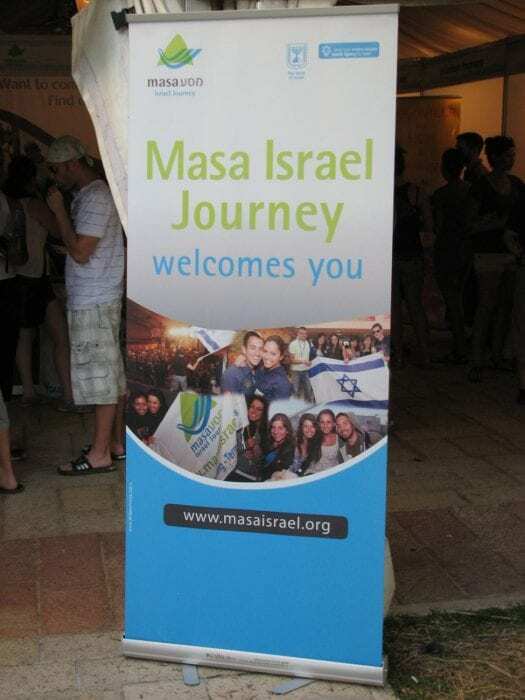 On Thursday July 19th, interns Brian Hoefgen and Harry Podolsky and staff member Judy Bar-Lev attended the MASA / Taglit Birthright Fair in Jerusalem at the Bible Lands Museum. 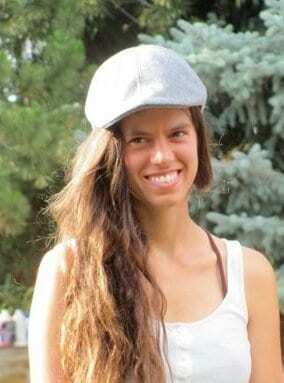 There were over one thousand young North-American students who were looking for opportunities to study or volunteer in Israel. 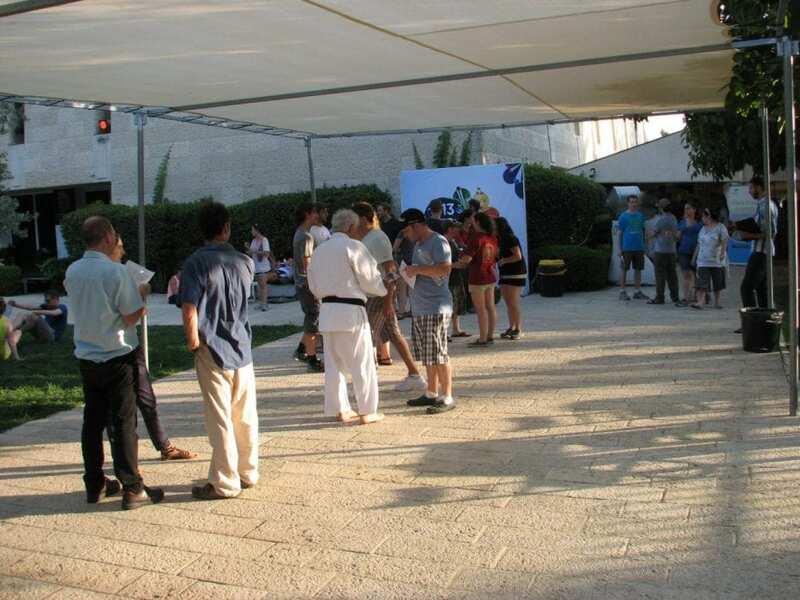 Even though the event took place outside the museum during a summer heat wave, our AIES crew enjoyed spreading the word about the Arava Institute and introducing our program to future potential students. We hope to see some of these new faces at the Arava Institute in the coming years. This week, we were delighted to host 21 young leaders from the JNFutures group. 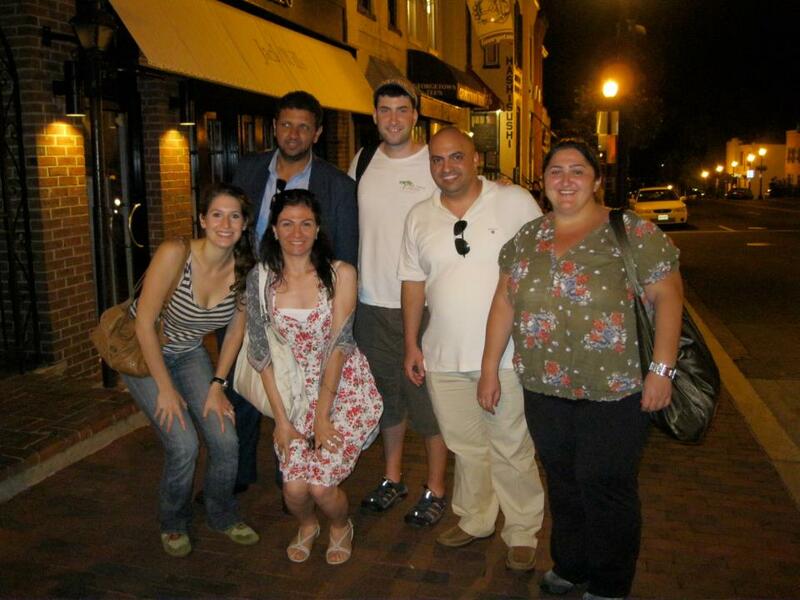 The group was traveling to Israel to learn more about environmentalism and community development in Israel. 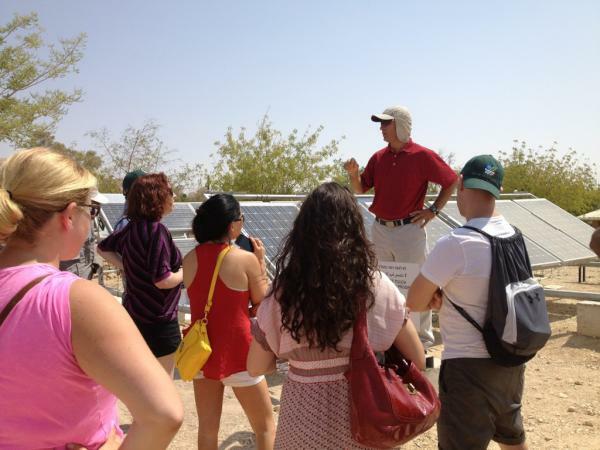 During their visit, the group heard about establishment of Kibbutz Ketura in 1973 and the founding of the Arava Institute in 1996, as well as the trans-boundary environmental issues in Israel and the region, AIES research departments, our academic program, and the Arava Power Company. We were pleased to have the opportunity to host the JNFuture group – the gateway for the next generation of the Jewish National Fund. In just a few weeks, two Arava Institute alumni, Anna Bar-Or and Tamer Jumah, will be spending six weeks in Chicago as part of the JNF Keep Chicago Beautiful (KCB) summer internship program www.kcb.org . For the past several years, in partnership with the Arava Institute and the Chicago JNF, KCB has been hosting two Arava Alumni every summer, one Israeli intern and one Arab intern, to learn about environmental challenges in an urban environment. Interns spend time examining issues related to environmental policy, water management, sanitation, environmental education, recycling, and more, while getting to know the city of Chicago. We are grateful to the KCB organization and the Chicago JNF for generously opening their homes and sharing their knowledge with our alumni. We are proud to report that many of our KCB interns have used the tools and practical experience gained from the internship to implement programs in their own community, after returning to their home in the Middle East. We are currently in the process of accepting applications for this fall semester 2012. If you are interested in applying, or know someone who might be interested, please e-mail info@arava.org or check out our website- arava.org. Thanks to Branwen Cale, Brian Hoefgen and JNFuture USA for the photos.